We report a new characterization technique of Raman gain materials through inverse Raman scattering (IRS). The technique is applied to silica glass optical fiber and several liquids in liquid-core optical fiber (LCOF). We obtain good quantitative agreement with a conventional technique that estimates the gain coefficient from steady-state Raman scattering measurements. Our results demonstrate that IRS is a viable tool to characterize new materials for ultralow-power nonlinear optics and all-optical switching. F. Benabid, J. C. Knight, G. Antonopoulos, and P. S. J. Russell, “Stimulated Raman scattering in hydrogen-filled hollow-core photonic crystal fiber,” Science 298, 399–402 (2002). J. E. Sharping, Y. Okawachi, and A. L. Gaeta, “Wide bandwidth slow light using a Raman fiber amplifier,” Opt. Express 13, 6092–6098 (2005). J. G. Skinner and W. G. Nilsen, “Absolute Raman scattering cross-section measurement of 992 cm-1 line of Benzene,” J. Opt. Soc. Am. 58, 113–119 (1968). M. J. Colles and J. E. Griffiths, “Relative and absolute Raman scattering cross-sections in liquids,” J. Chem. Phys. 56, 3384–3391 (1972). Y. R. Shen, Principles of Nonlinear Optics (Wiley-Interscience, 1984). P. N. Butcher and D. Cotter, The Elements of Nonlinear Optics (Cambridge University, 1991). D. Mahgerefteh, D. L. Butler, J. Goldhar, B. Rosenberg, and G. L. Burdge, “Technique for measurement of the Raman gain coefficient in optical fibers,” Opt. Lett. 21, 2026–2028 (1996). W. J. Jones and B. P. Stoicheff, “Inverse Raman spectra–induced absorption at optical frequencies,” Phys. Rev. Lett. 13, 657–659 (1964). K. Kieu, L. Schneebeli, J. M. Hales, J. W. Perry, R. A. Norwood, and N. Peyghambarian, “Demonstration of Zeno switching through inverse Raman scattering in an optical fiber,” Opt. Express 19, 12532–12539 (2011). 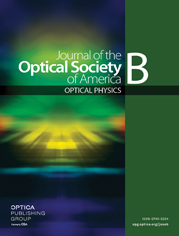 K. Kieu, L. Schneebeli, E. Merzlyak, J. M. Hales, A. DeSimone, J. W. Perry, R. A. Norwood, and N. Peyghambarian, “All-optical switching based on inverse Raman scattering in liquid-core optical fibers,” Opt. Lett. 37, 942–944 (2012). K. Kieu, L. Schneebeli, R. A. Norwood, and N. Peyghambarian, “Integrated liquid-core optical fibers for ultra-efficient nonlinear liquid photonics,” Opt. Express 20, 8148–8154 (2012). K. Kieu and M. Mansuripur, “Femtosecond laser pulse generation with a fiber taper embedded in carbon nanotube/polymer composite,” Opt. Lett. 32, 2242–2244 (2007). K. Kieu, R. J. Jones, and N. Peyghambarian, “Generation of few-cycle pulses from an amplified carbon nanotube mode-locked fiber laser system,” IEEE Photon. Technol. Lett. 22, 1521–1523 (2010). R. H. Stolen and C. Lin, “Self-phase-modulation in silica optical fibers,” Phys. Rev. A 17, 1448–1453 (1978). M. Monerie and Y. Durteste, “Direct interferometric measurement of nonlinear refractive index of optical fibers by crossphase modulation,” Electron. Lett. 23, 961–963 (1987). L. Prigent and J. P. Hamaide, “Measurement of fiber nonlinear Kerr coefficient by 4-wave-mixing,” IEEE Photon. Technol. Lett. 5, 1092–1095 (1993). A. Boskovic, S. V. Chernikov, J. R. Taylor, L. Gruner-Nielsen, and O. A. Levring, “Direct continuous-wave measurement of n(2) in various types of telecommunication fiber at 1.55 μm,” Opt. Lett. 21, 1966–1968 (1996). C. Headley and G. P. Agrawal, “Unified description of ultrafast stimulated Raman scattering in optical fibers,” J. Opt. Soc. Am. B 13, 2170–2177 (1996). K. J. Blow and D. Wood, “Theoretical description of transient stimulated Raman-scattering in optical fibers,” IEEE J. Quantum Electron. 25, 2665–2673 (1989). Q. Lin, F. Yaman, and G. P. Agrawal, “Raman-induced polarization-dependent gain in parametric amplifiers pumped with orthogonally polarized lasers,” IEEE Photon. Technol. Lett. 18, 397–399 (2006). R. W. Hellwarth, A. Owyoung, and N. George, “Origin of nonlinear refractive index of liquid CCl4,” Phys. Rev. A 4, 2342–2347 (1971). Y. Kato and H. Takuma, “Experimental study on wavelength dependence of Raman scattering cross sections,” J. Chem. Phys. 54, 5398–5402 (1971). K. T. Schomacker, J. K. Delaney, and P. M. Champion, “Measurements of the absolute Raman cross-sections of Benzene,” J. Chem. Phys. 85, 4240–4247 (1986). M. O. Trulson and R. A. Mathies, “Raman cross-section measurements in the visible and ultraviolet using an integrating cavity–application to benzene, cyclohexane, and cacodylate,” J. Chem. Phys. 84, 2068–2074 (1986). N. Abe, M. Wakayama, and M. Ito, “Absolute Raman intensities of liquids,” J. Raman Spectrosc. 6, 38–41 (1977). F. J. McClung and D. Weiner, “Measurement of Raman scattering cross sections for use in calculating stimulated Raman scattering effects,” J. Opt. Soc. Am. 54, 641–643 (1964). J. B. Grun, A. K. McQuillan, and B. P. Stoicheff, “Intensity and gain measurements on stimulated Raman emission in liquid O2 and N2,” Phys. Rev. 180, 61–68 (1969). T. C. Damen, R. C. C. Leite, and S. P. S. Potro, “Angular dependence of Raman scattering from benzene excited by He–Ne cw laser,” Phys. Rev. Lett. 14, 9–11 (1965). A. C. Albrecht and M. C. Hutley, “Dependence of vibrational Raman intensity on wavelength of incident light,” J. Chem. Phys. 55, 4438–4443 (1971). W. R. Hess, H. Hacker, H. W. Schrotte, and J. Brandmul, “On measurement of intensity and depolarization ratio of Raman lines with laser excitation,” Z. Angew. Phys. 27, 233–238 (1969). A. Hoffmann, S. Keller, B. Schrader, R. Ferwerda, and J. H. Vandermaas, “Polarization measurements in near-infrared Fourier-transform spectroscopy,” J. Raman Spectrosc. 22, 497–503 (1991). W. Proffitt and S. P. S. Porto, “Depolarization ratio in Raman spectroscopy as a function of frequency,” J. Opt. Soc. Am. 63, 77–84 (1973). M. E. Lines, “Raman-gain estimates for high-gain optical fibers,” J. Appl. Phys. 62, 4363–4370 (1987). H. J. Marrinan and N. Sheppard, “Relative intensities of the Raman lines of carbon tetrachloride, chloroform, and methylene chloride,” J. Opt. Soc. Am. 44, 815–819 (1954). O. D. Herrera, L. Schneebeli, K. Kieu, R. A. Norwood, and N. Peyghambarian, “Raman-induced frequency shift in CS2-filled integrated liquid-core optical fiber,” Opt. Commun. 318, 83-87 (2014). B. E. Little, J. P. Laine, and H. A. Haus, “Analytic theory of coupling from tapered fibers and half-blocks into microsphere resonators,” J. Lightwave Technol. 17, 704–715 (1999). A. Samoc, “Dispersion of refractive properties of solvents: chloroform, toluene, benzene, and carbon disulfide in ultraviolet, visible, and near-infrared,” J. Appl. Phys. 94, 6167–6174 (2003). H. H. Marvin, “The selective transmission and the dispersion of the liquid chlorides,” Phys. Rev. 34, 161–186 (1912). I. H. Malitson, “Interspecimen comparison of refractive index of fused silica,” J. Opt. Soc. Am. 55, 1205–1208 (1965). W. R. L. Clements and B. P. Stoicheff, “Raman linewidths for stimulated threshold and gain calculations,” Appl. Phys. Lett. 12, 246–248 (1968). Fig. 1. Schematic of experimental IRS setup. ML laser, mode-locked fiber laser with carbon nanotube saturable absorber; PC, polarization controller; WDM, wavelength division multiplexer; and OSA, optical spectrum analyzer. Fig. 2. General method to extract Raman spectroscopic data from measured IRS spectra. (a) Schematic of measured IRS spectrum. (b) IRS modeling. (c) Extraction of Raman properties via IRS modeling results. Fig. 3. Frequency dispersion of the Stokes RSC for the 992 cm−1 ring breathing mode in benzene. The excitation frequency is given in kiloKaisers (1 kK=1000 cm−1), the fitting is performed using Eq. (7) with ωE=50 kK (or 200 nm), and the extrapolated value at 9.4 kK (or 1064 nm) is displayed. The error associated with this extrapolated RSC is estimated to be ±20%. Fig. 4. Extraction of Raman gain coefficient for germanium-doped glass optical fiber. (a) Measured IRS spectra for increasing pump power, according to Ref. . (b) IRS modeling spectra (solid lines) for increasing Raman gain coefficient and measured IRS spectrum (shaded) for 50 mW pump power. Fig. 5. IRS spectra of liquid-core fiber filled with CCl4+3% CS2. (a) Measured IRS spectra. The average pump power is increased, resulting in clear attenuation in the anti-Stokes spectrum at the CCl4 vibronic modes at 460 cm−1, 314 cm−1, and 218 cm−1. According to Ref. . (b) IRS modeling spectra (solid lines) for increasing Raman gain coefficient and measured fractional IRS loss spectrum (shaded) for 32 mW pump power. The blue curve matches the dip best and yields an extracted Raman gain coefficient of gR=1.5·10−12 m/W. Fig. 6. IRS versus spontaneous Raman for CCl4. (a) IRS response spectra for increasing pump power. (b) Spontaneous Raman spectrum with logarithmic ordinate scale. Fig. 7. Total dispersion of a step-index liquid-core fiber. The core is filled with CCl4 and 3% CS2, with a core diameter of 10 μm. The cladding is fused silica. (a) Dispersion D(=−(2πc/λ2)β2). (b) Dispersion coefficient β2. Fig. 8. IRS spectra of liquid-core fiber filled with CCl4+5% CS2 and 12·10−3 Mol/L of beta-carotene. (a) Measured IRS spectra for various time delays between anti-Stokes probe and pump, according to Ref. . (b) Measured fractional IRS loss spectrum at zero time delay (shaded) and IRS modeling spectra (solid lines) for the 1160 cm−1 resonance (at 1321 nm) of beta-carotene. The blue curve matches the dip best and yields an extracted Raman gain coefficient of gR=6·10−13 m/W for the given beta-carotene concentration. Fig. 9. IRS versus spontaneous Raman for beta-carotene. (a) IRS response spectra for various time delays between pump and probe. The step size of the temporal delay between pump and signal pulses is 0.8 ps. The magenta line showing maximum IRS loss at 1160 cm−1 corresponds to zero time delay. (b) Spontaneous Raman spectrum with logarithmic ordinate scale. Fig. 10. IRS spectra of liquid-core fiber filled with neat CS2. (a) Measured IRS spectra for increasing pump power. (b) Measured fractional IRS loss spectrum at 1.5 mW pump power (shaded) and IRS modeling spectra (solid lines). The blue curve yields a Raman gain coefficient of gR=3·10−11 m/W. Fig. 11. IRS versus spontaneous Raman for CS2. (a) IRS response spectra for increasing pump power. (b) Spontaneous Raman spectrum with logarithmic ordinate scale.